In photography, a filter is a camera accessory that can be inserted in the optical path, changing the look of the photo being taken (yeah, I somewhat stole that definition off the internet). In reality, a filter, no matter how cool or how regularly it’s used, will ALWAYS compromise the integrity of the pure image. Whenever I look at photos from the 70s, it’s apparent that SEPIA was a popular filter. HA! Well, in life, we have all sorts of filters for how we see the world, how we discern truth, even how we relate to others. Perhaps our filter is the result of our upbringing or our culture. Perhaps our filter is the result of our current situations. Maybe our filter is the result of our IDEAL view of how things can be (if we’re honest, we all have a “wishful thinking” filter, don’t we?). The danger is the reality that REAL truth never changes, even though a filter does. 2+2=4, even if you had a rough upbringing. 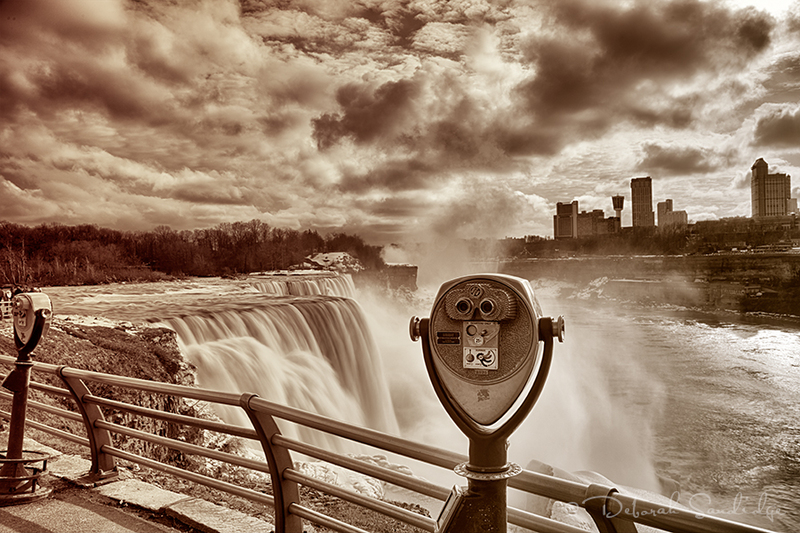 To use my original illustration, a picture of Niagara Falls can be highly manipulated by any array of filters, but when you stand in front of the actual falls, they look the same as always. You can take a black & white picture, but the REAL falls are in color. You can make the sides blurry, or even take a sepia picture, but the REAL falls look the same… REAL/TRUE. So, as a Christian, I have to decide which filter I’ll depend on in order to discern the REAL truth from God. Do I choose cultural relevance to be my filter for truth? Do I allow religious tradition to be my filter for truth? Do I accept that truth changes as we change, thus making humanity my filter for understanding what is true? Or, do I take off all filters, and engage the rawness of REAL truth? But without a filter, the edges aren’t smooth. Without a filter, it’s not a “pretty.” Without a filter, it’s not manipulated to look how I DESIRE it to look. But, without a filter, it’s REAL. And so, that’s what I prefer. Real, raw, un-pretty at times, truth. Because REAL TRUTH is what changes us. As I wrapped up my discussion with Corey, I challenged him to decide whether he would read the Bible through the filter of culture, or if he would look at culture through the filter of the Bible. That’s a very interesting tension, isn’t it? I mean, there is a strong move away from the Bible as the primary filter, and towards allowing cultural norms and changing opinions to become the filter with which we understand what is true, and even how we read the Bible, and thus what we believe to be true about God and how we deals with us. So here’s my challenge: Choose your filter. Will you allow Culture to be the filter for how you discern truth? Or will you allow or the Bible to be the unfiltered, raw source of objective truth, and then becomes the filter for how we see our Culture? What I’m finding is that many of our disagreements have less to do with what is true, and more to do with how we came to that conclusion. Filters are the key. Objective truth, REAL truth, raw snapshots reveal a lot, and put us all on the same playing field. But if we keep looking a 2 pictures of Niagara Falls with 2 different filters, and we keep yelling over what the falls really look like, we waste a lot of time, kill a lot of friendships, and get nowhere closer to shared understanding of truth. This is how my mind is spinning today… hope it makes sense.